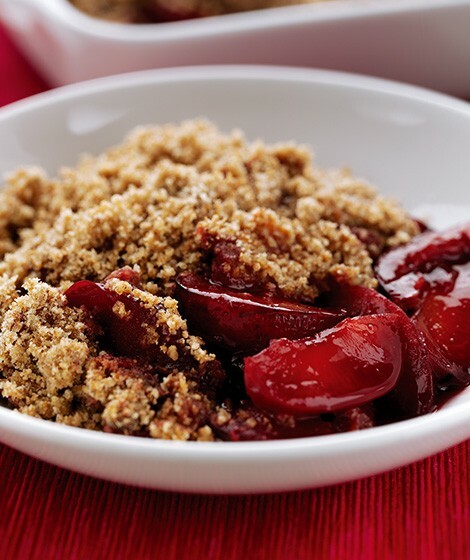 Place the rhubarb, 50g sugar, ginger and 1 tbsp water in a large saucepan. Simmer for 10 minutes or until just tender. Transfer to an ovenproof serving dish. Meanwhile, rub the flour, butter and remaining sugar together to resemble rough breadcrumbs. Spoon over the rhubarb and bake for 15-20 minutes or until golden.